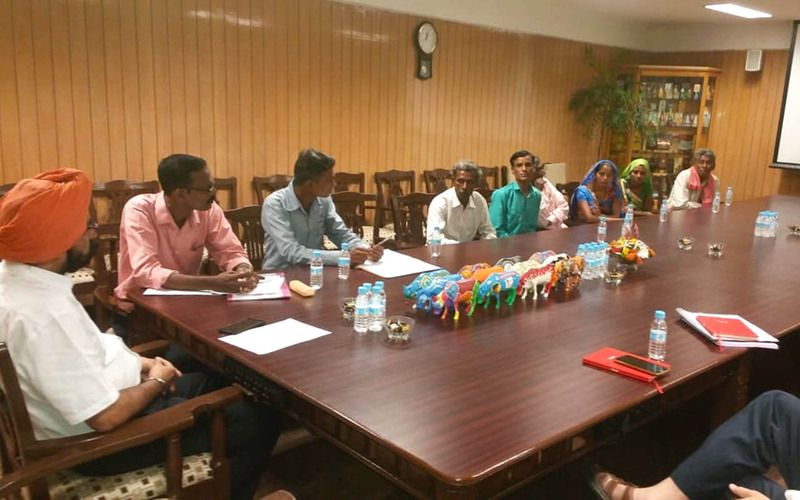 Last week Amrita SeRVe program manager Sreeni KR organized a meeting at Amul Dairy in Ahmedabad to discuss starting a milk collection in Nani Borvai. The conversation with the managing director, RS Sodhi of Amul Dairy, polished the idea of self-help groups comprising women, to organize themselves to take up the responsibility of generating income in the field of dairy. Around the negotiating table of Amul dairy, Ahmedabad. Village coordinator Seema Ben (far right in blue sari) on the voice. The day before the meeting, a comprehensive presentation was prepared and rehearsed by village coordinator Seema Ben. She introduced the village, activities done by Amrita SeRVe, and future plans for the development of her own village Nani Borvai. 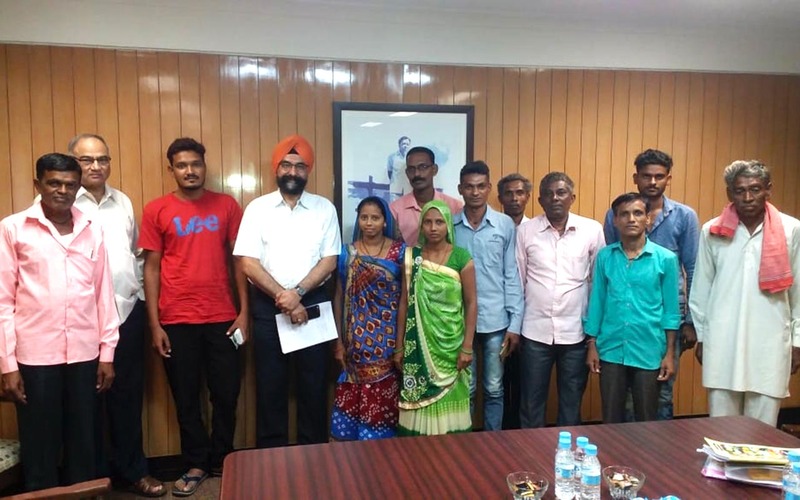 Also, the village health worker Kajal Ben, along with Praveen Parmar of Ammachi Labs, the village development committee members, and the newly formed farmers’ group members, participated in the negotiations. 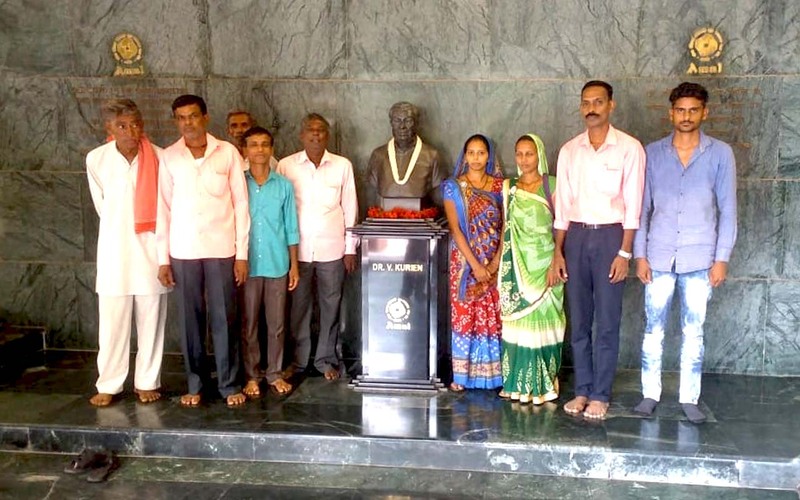 Before Sreeni left for the next village on his journey, he conducted a final meeting to form an action plan including when to submit the required documents, opening a bank account, and other practical matters to consider.